Since the introduction of the new MAN TGE vans, the TGE has turned the heads of many transport professionals across the country. Stylish, economical and reliable is what the MAN TGE vans convey – day after day. 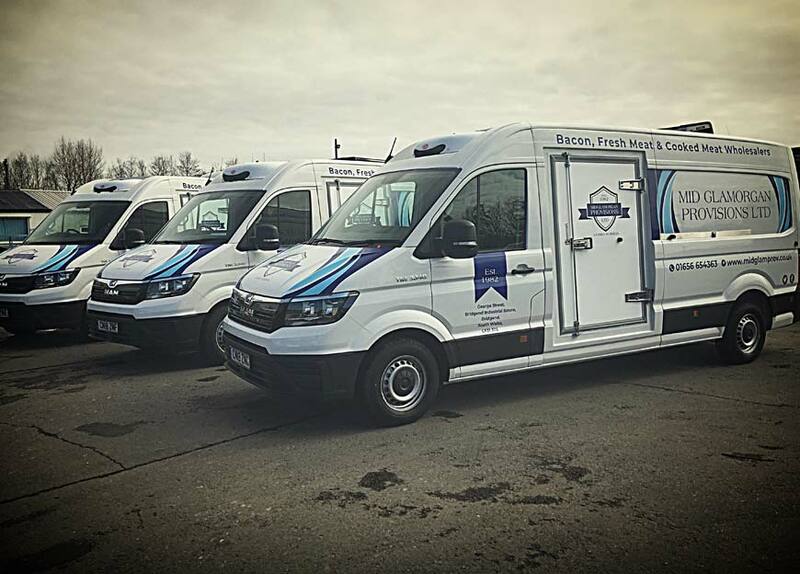 Long standing W G Davies customer, Mid Glamorgan Provisions of Bridgend has recently taken delivery of 3 brand new MAN TGE fridge/freezer vans for their growing business. South Wales’ Premier supplier of highest quality fresh, frozen and cooked meats. This family run business has earned a top-class reputation of trading in goods of the highest standard, providing traditional products with consistent quality. Top quality products demand top quality transport and that’s where the new MAN TGEs fit in. WG Davies sales executive Kaine Charles, organised the deal with Mid Glamorgan for these fabulous looking MAN TGE vans. Our thanks to Mid Glamorgan for their on-going support of WG Davies.